Spring is here and this season brings lots of things for gamers too: New games to play, updated versions of popular games, and more importantly, the final season of only the best TV show ever (amirite?) – Game Of Thrones. We got you covered on the Game Of Thrones side, So let’s focus on the first month of spring: What are the most popular games to play in this month? We checked the top games on BlueStacks and selected 5 games that will keep you busy this month. 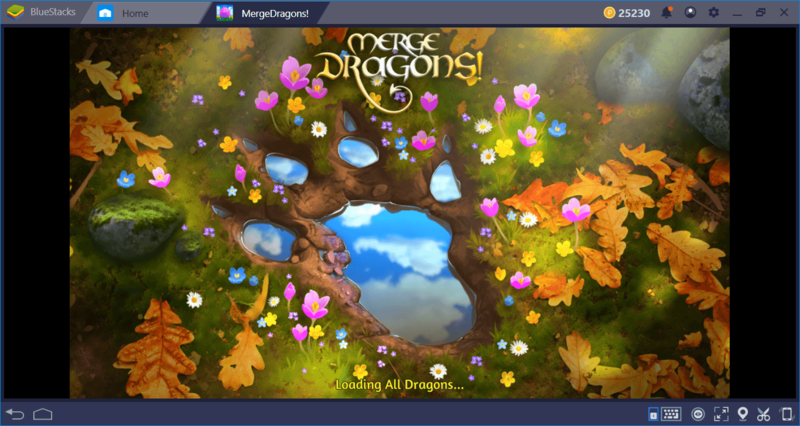 This is a cute little puzzle game where you try to merge… well, dragons, as the name implies. But the dragons are not the only thing you can merge. Levels are designed as grids and each square contains a specific item – this can be a dragon or a tree, a rock, even a unicorn. Your goal is to place three same items next to each other by dragging, merge them, and create a “better” version of them. At each level, you get a specific creation goal, which can be seen by clicking on the star at the upper left side of the screen. Merge Dragons is a cute looking game but its puzzles are quite serious, especially at the later stages. 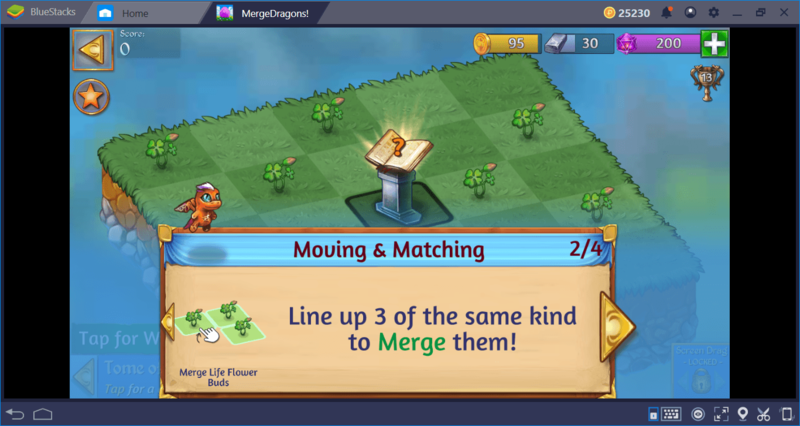 You can check out the BlueStacks article about the Best Tips and Tricks for Merge Dragons to quickly get up to speed with strategies in the game. Create a recording of every level you successfully complete – you can return back to the same level and complete it again to get rewards. But this time you will do this with a single keystroke, thanks to our Combo Key feature. 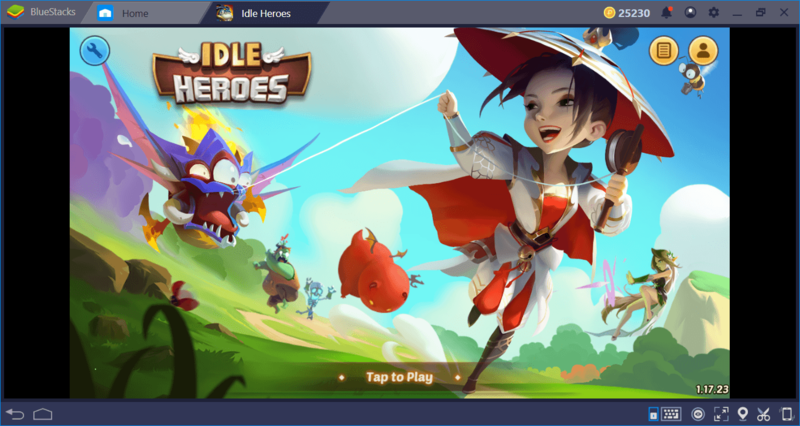 We are pretty sure you know about Idle Heroes at this point: It is one of the most popular RPG/gacha games around and played by more than 10 million gamers. Your goal is to create a perfect army of heroes by “summoning” them – this is the gacha part. Every day, you get to make one free summoning and the results are completely random. You get to empower your heroes by giving them items and increasing their levels by completing missions, this is the RPG part. 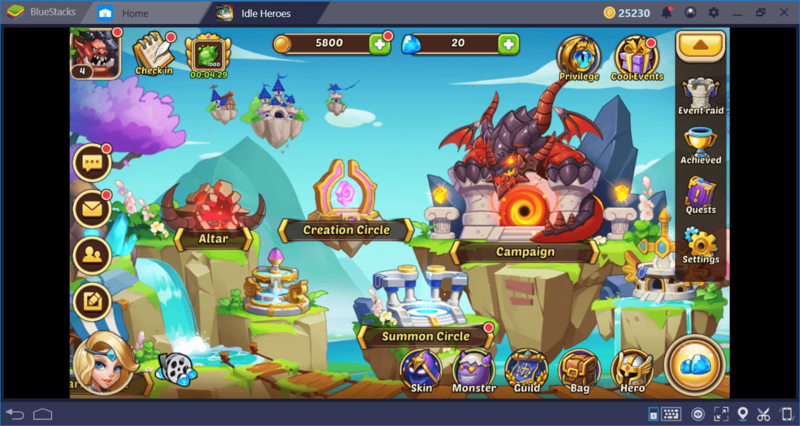 If you are thinking about starting the gacha genre, Idle Heroes will probably be the best choice: It has simplified mechanics that are easy to understand and an amazingly big content to discover. Right after beginning the game, you get to make a free summoning. If you did not like the results, you can create additional instances and keep making summons until you are satisfied with the results. 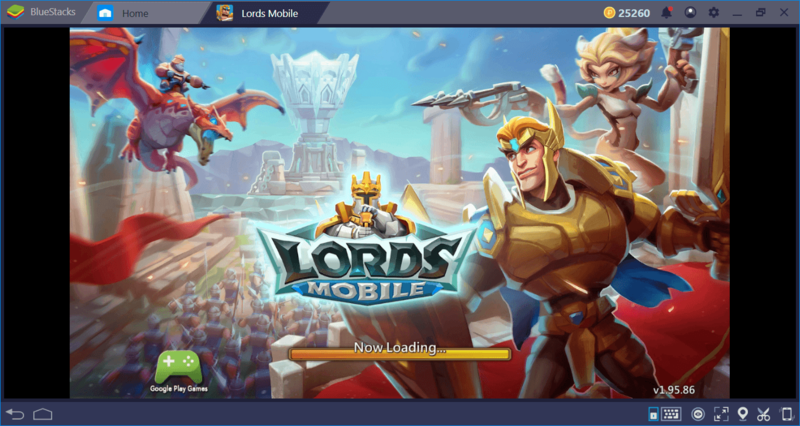 Played by more than 240 million people in the world, Lords Mobile is probably the most popular mobile strategy game out there. You get to build a kingdom from scratch, train an army, and neutralize all threats on the world map – other players included. 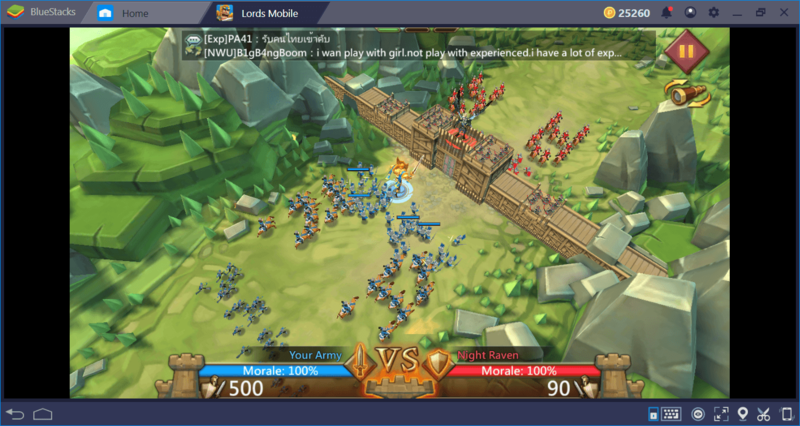 Lords Mobile is focused on large-scale battles but resource generation is still important too: You need to build a balanced kingdom. Increasing your might score is the primary goal and your entire kingdom is ready to help you. Are you ready to conquer this world and become its mighty ruler? Well, ready or not, don’t waste time because other players want the same thing too. Create your own guild by creating multiple instances. Each of your accounts will get 400 gems right after joining and you will have access to lots of useful features, such as guild missions and resource trading. 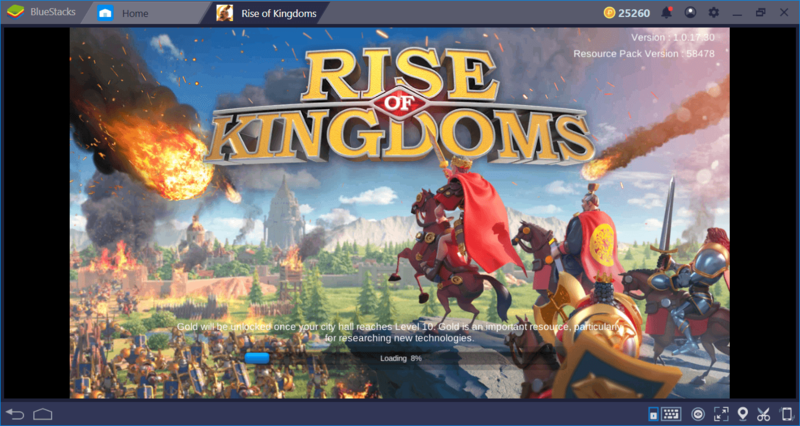 If you are looking for a massive strategy game that will offer you the chance to conquer the world, Rise of Kingdoms will be the best choice. In the beginning, you are asked to select a civilization, which will give you different bonuses. After determining the leader, you can start building your kingdom and attack other cities. Or, you can choose to be a peaceful nation like we did and… well, who are we kidding, of course we are one of the brutal ones too. 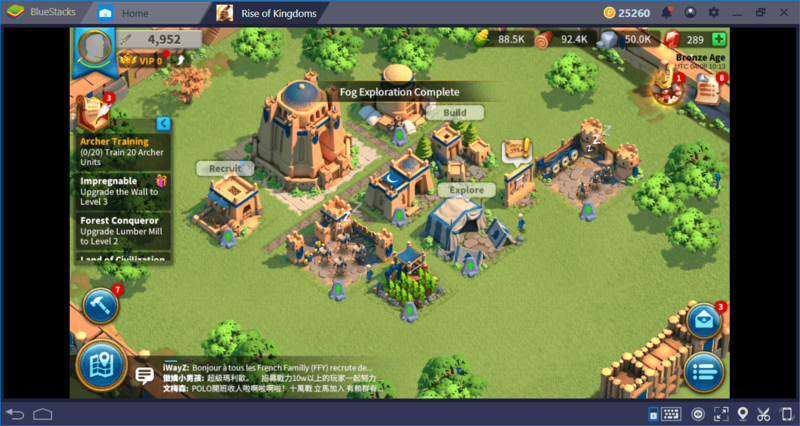 City management, resource gathering, and armies that contain millions of troops: Rise of Kingdoms truly offers everything. It is also one of the most popular strategy/conquest games both on BlueStacks and Play Store. Cover your main city on the world map by creating multiple cities and teleporting them next to your main one. You will create a “buffer zone” around your main city, which will reduce your chances of getting attacked. This is the official game of Game Of Thrones and it offers you the chance to become a “house” in this brutal world. Tyrion Lannister personally helps you at the beginning but as we all know, Lannister help always comes with a price. 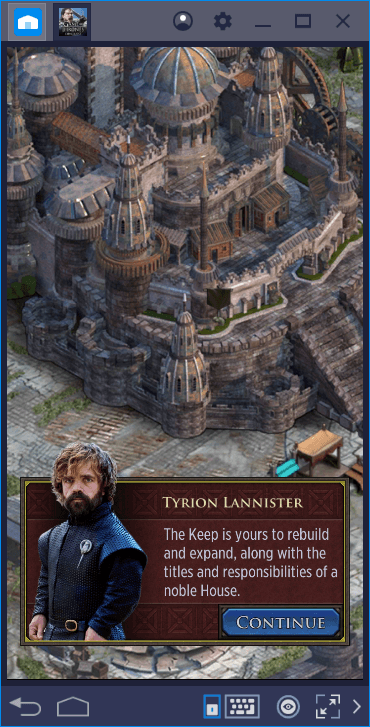 Build your city, create a big army, and unite the Seven Kingdoms: You can become the greatest leader Westeros has ever seen. However, don’t forget that there are 5 million other players trying to do the same thing: You will have lots of rivals. 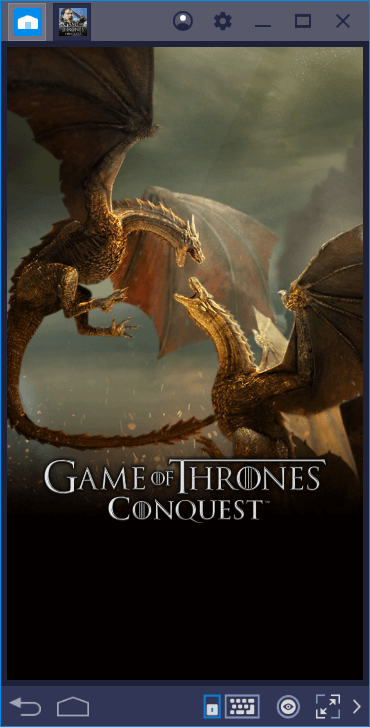 Game Of Thrones: Conquest has simplified mechanics when compared to other strategy games, but it truly captures the spirit of this world-famous series. We are sure that you will keep playing it even after the last season ends. You can create a recording for collecting all of the resources in your city with a single keystroke and save time. One click and all of those fields will be harvested. These are the most popular games in our lists but BlueStacks offers you lots of other games too. 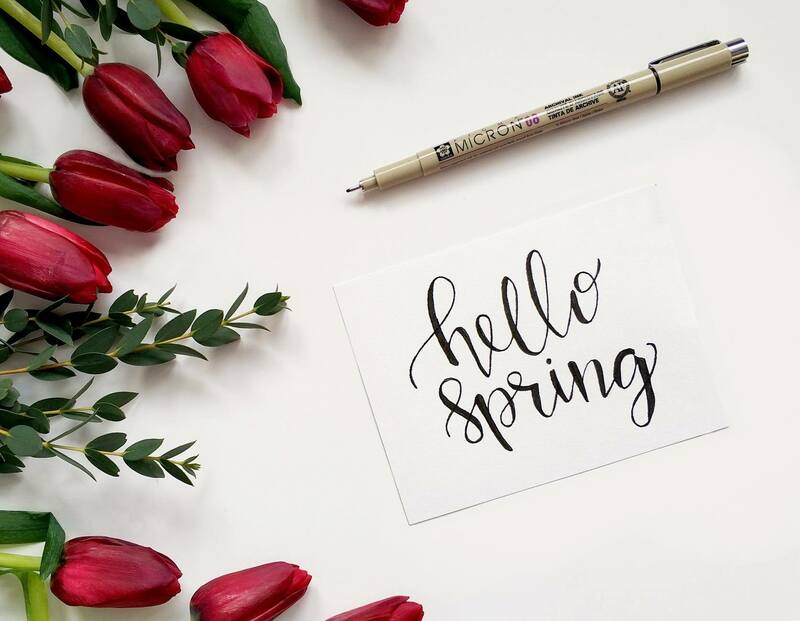 If you have a suggestion to celebrate spring in style, let us know via comments. And get ready to celebrate the new season of Game Of Thrones by playing lots of conquest games – we have an article about those too. See you on BlueStacks!